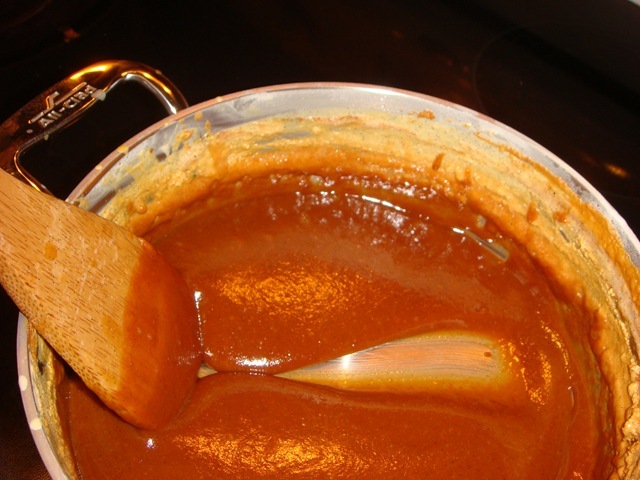 Here we are at the last installment of making your own Dulce de Leche. You should definitely be feeling the sugar-rush effects now. Today we move into slightly more involved ways of making Dulce de Leche. Try PART ONE and PART TWO for some easier preparations. These last two methods take a little bit more effort, but are well worth it (every now and again, at least). They also involve a few “special equipment” items. Neither of today’s methods involve unopened cans or water baths, so all is safe. Kind of. Unless you count the possibility of botulism. But we will get into that in a minute. Scroll to the bottom for my final recommendations. I am starting with an already canned milk product, not fresh milk. 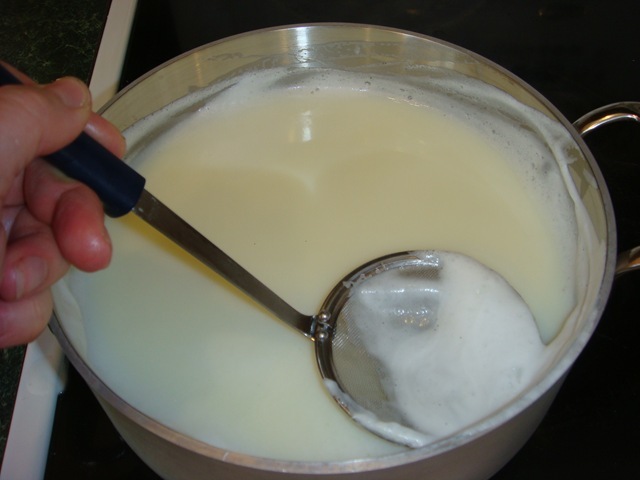 There is so much sugar in sweetened condensed milk that it would take a lot to make it spoil. I have canned meat successfully, and it is approved by the USDA if using a pressure canner. 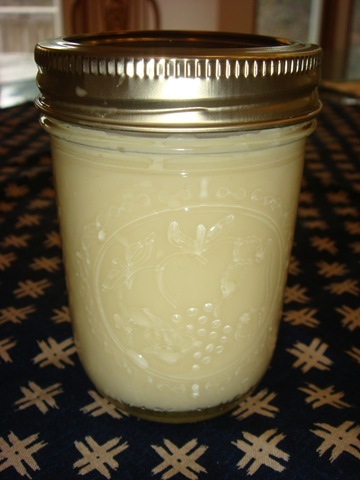 Butter can be canned, and it is a milk product. These are my justifications for making this and letting the jars sit on a shelf in my basement. As part of this ongoing experiment, I will force myself to open a jar of this dulce de leche every month or so to make sure they are still edible. But my official recommendation to you is to refrigerate these jars after canning them. Then there is no possible food-safety issue. Also, please refer to the instruction manual for your specific pressure canner before attempting this recipe. I am including the basic instructions for using mine. DO NOT USE A BOILING BATH CANNER. THAT WILL DEFINITELY EARN YOU A CASE OF FOOD POISONING. 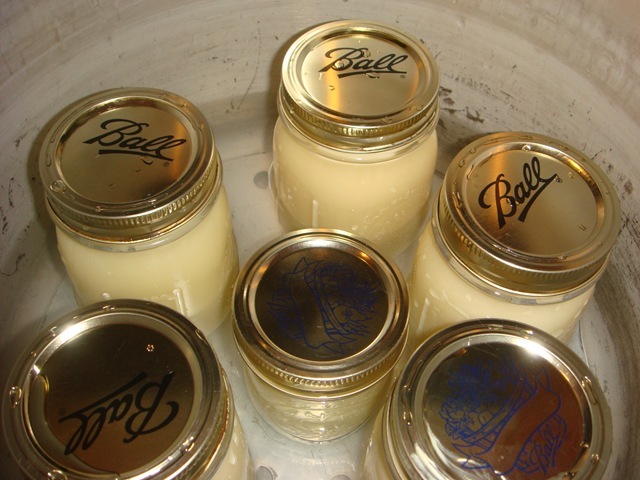 Place filled jars on a rack in a pressure canner. 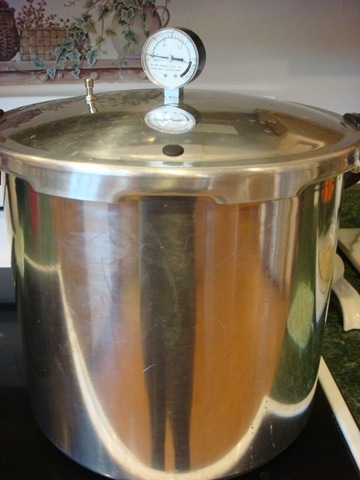 Add 3 quarts of room temperature water. DO NOT BRING WATER TO A BOIL BEFORE ADDING JARS. Since you are not doing a “hot pack” (hot jars; hot filling; hot water), the jars WILL break if you place them directly into boiling water. Then you end up with a very large pot full of sticky, sugar milk/water. Leaving you to clean all of the other jars and the pot and start over. Not fun. 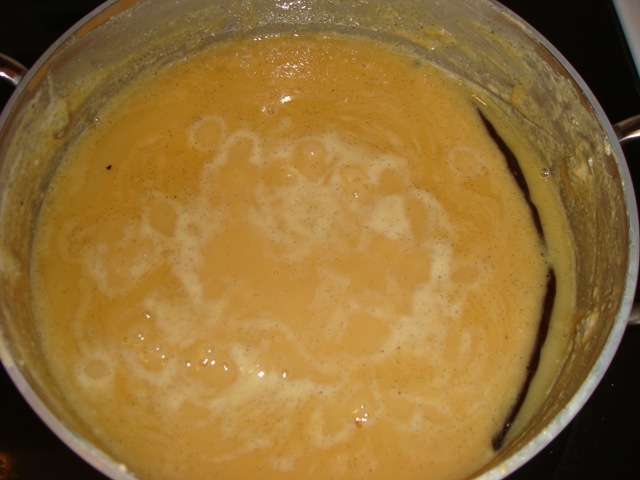 This is the first “recipe” for dulce de leche that I’ve made with actual ingredients. This is adapted from a recipe from Alton Brown. It is a lot more time consuming than any of the other methods, but is it ever worth it! This was truly decadent! Don’t you just love the vanilla bean flecks? As the other methods produced a caramel that was more of a dipping or spreading consistency, I wanted this one to be one that I could pour. On ice cream, for example. The only tricky part of this recipe is knowing when to remove the dulce de leche from the heat. Leave it too long and you end up with caramels suitable for cutting (not all bad either) and more susceptible to turning “sugary”. Don’t cook it long enough and you end up with a brown-colored-sweet-milky syrup. Not really dulce de leche. The only two drawbacks to this method are the time involved (lots of standing at the stove stirring the pot), and the fact that you can only make one batch at a time, which will need to be refrigerated. While this was a fun experiment, it is not recommended for your waistline. Thank goodness I had a recovering swine flu victim (who was down 15 pounds) that I could push this onto to “test” for me. He is back up to normal weight now. You’re welcome, Brian! 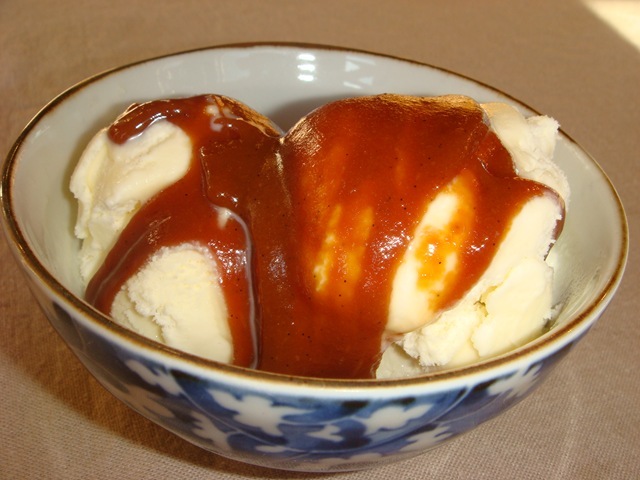 The homemade dulce de leche was definitely superior to the ones made with sweetened condensed milk. But I am likely to only make this on special occasions, when I plan on eating it directly on top of something where the flavor will really shine (and not incorporated into a recipe-that would be a huge waste). It is pretty time consuming, as it needs to be watched (and sometimes stirred) throughout the entire process. 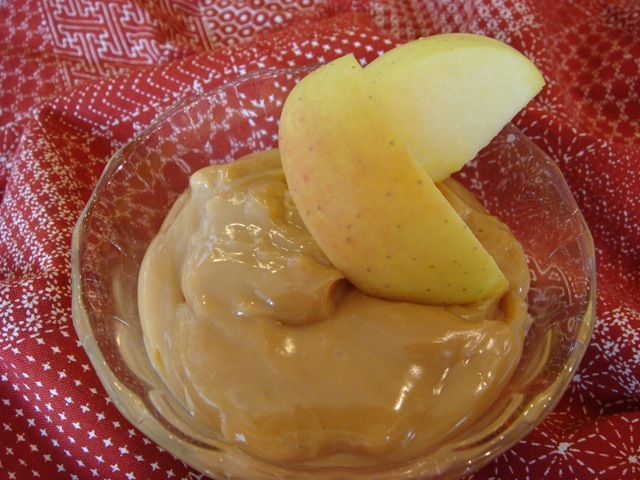 The pressure canner method is a great way to prepare dulce de leche that you plan on giving to friends. Great flavor. I didn’t care for the oven method at all (no more oven water baths for me), and was only slightly more impressed with the double boiler method. But I may have to give that one another chance. 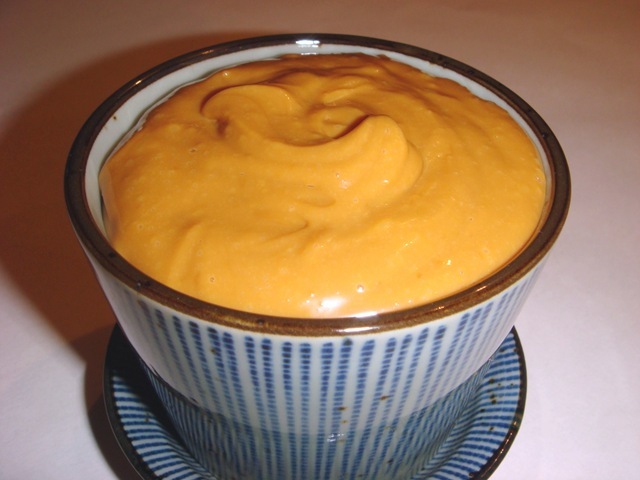 Practically, the stovetop and crock pot varieties were easiest to make and the best tasting (non-homemade) varieties. They were easy to prepare, and I love that you can do a bunch of cans at one time, and then have them available to grab out of your pantry any time. The crock pot version gets my overall best pick. That will be my go-to dulce de leche from now on. But the homemade version wins hands down on flavor. So it will definitely have a place in my recipe files. Sweet post. Thanks for the advice. 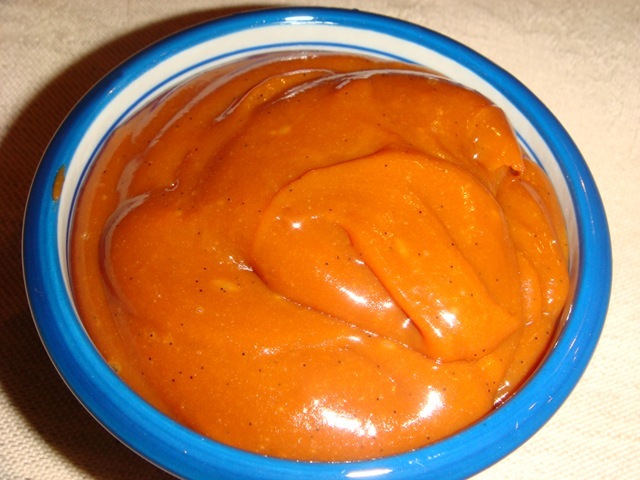 I want to can Dulce de Leche from tin cans too but wasn’t sure if I should boil in can first, cool, then can, or pour the milk into the jars and go from there. You’ve answered my question. Can’t wait to start! How has your canned caramel held up? No food poisoning? 😉 I am so going to try this! AWESOME of you to try and share your experience. I am a new canner this year without a teacher. All these kind blogs, and vlogs have been good to me. Oh..and I don’t know how I missed the memo on not putting raw packed jars into hot hot water. Duh, makes sense. I had a jar bottom fall out on my yesterday. I bet this was the culprit. Take care and God Bless. We had the jarred dulce de leche for about 6 months and no one got sick. 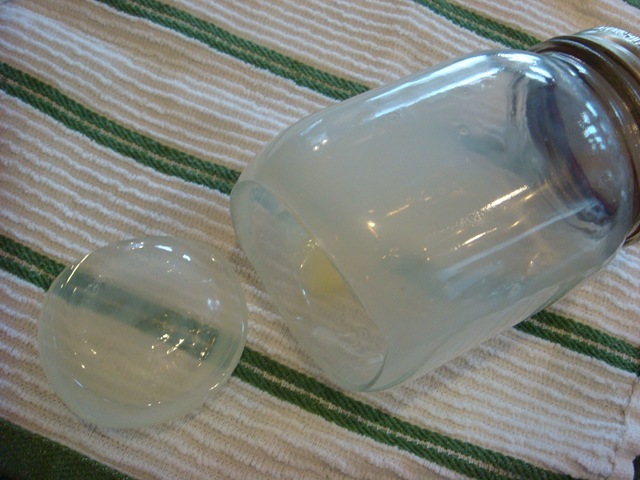 Be sure to check the seal both immediately after canning and again when you are ready to open a jar. If it doesn’t make that “sucking” sound when you pry the top off, don’t eat it. And if you ever see any discoloring, throw that out as well. We did not have to throw out any jars. 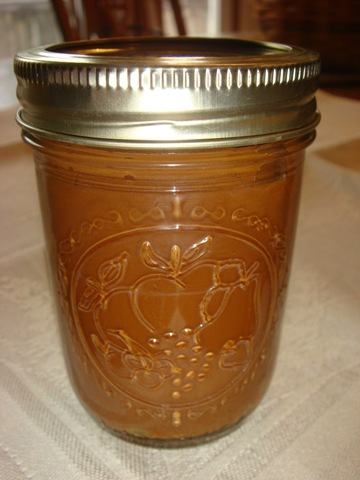 The jarred caramel tasted good, but did turn out thicker than when I boiled the cans. But I didn’t want to process it for any shorter time, for safety reasons. Giving things a good stir before serving helps with the thicker texture. Good luck with all of your canning ventures this summer!